-- Select a Size -- Small jar - Out of Stock! 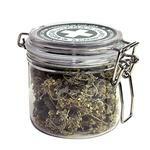 For cats who need the weed, our Meowijuana® Purrple Passion Catnip Buds Jar is pawsitively purrfect! Finally, we've found the purrfect fix that's sure to be a hit with your cats! This potent strain is ideal for your furry little nip-heads! The Purrple Passion Meowijuana® Catnip Buds are harvested during the plants' peak oil production, meaning your furry friends are getting a next-level catnip experience! Our Purrple Passion Catnip Buds are 100% Organic and grown in the U.S.A.
They’re made from the finest and most totally awesome fragrant Catnip Blossoms. It’s the finest ‘Catnibas’ you can get without being pulled over and searched. Picked at the peak of purrfection and sealed in an airtight jar, this gives your cat a far out (or most-righteous) experience and for you an outrageous contact high without anyone turning into a total airhead. 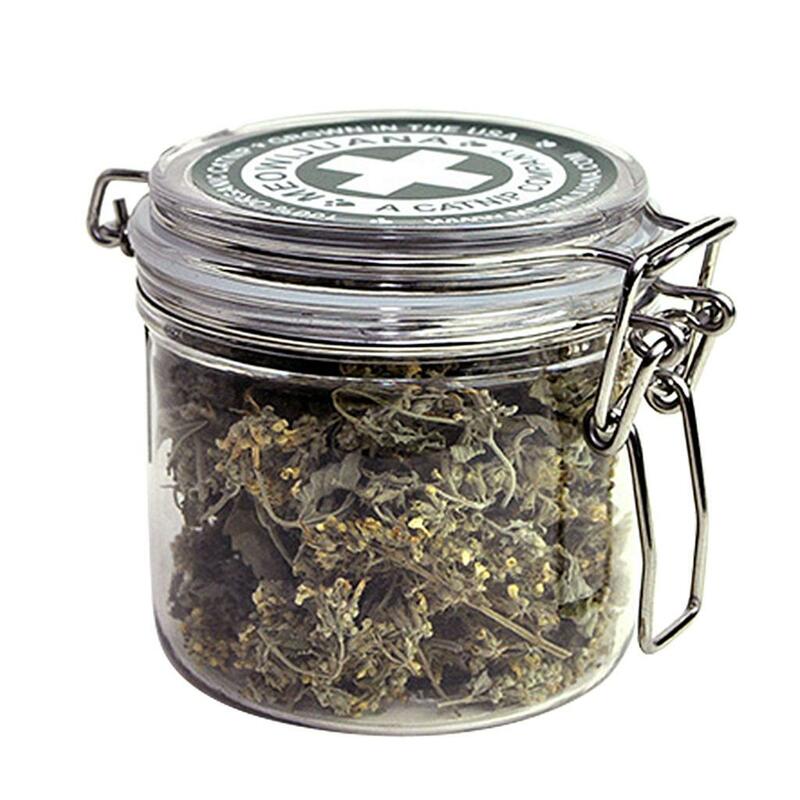 To find a more potent and aromatic catnip, you’d need a note from your vet. So go ahead and pick some up today! I am impressed with the popup chat person that is there to help me with my order! I have never experienced it before and is such a awesome help!